My kids ask me questions about driving all the time. My girls are 13, so that time will be here before we know it. Yikes! 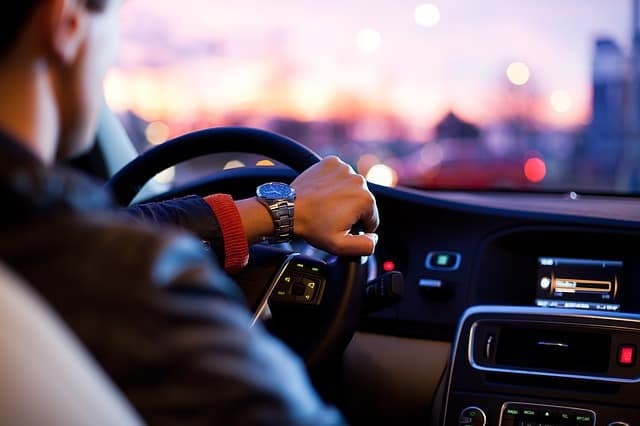 If you’re new to driving cars, you’ve likely heard about all the safety responsibilities that you will have as a driver. You have an idea of how dangerous cars can be, but do you really know everything there is to know about looking after yourself on the road? Statistically, new drivers are a lot more likely to get into accidents. Simple inexperience and lack of learned safety is a big part of that. So let’s look over some of the safety tips you should always keep in mind to lower your chances of being a statistic. Safety starts well before you get on the road. In fact, it starts with the choice of car you purchase. There are a lot of different elements that go into the safety of the car in itself. Safety features are a big part, but we’ll cover them in just a bit. For now, we’re focusing on how you can determine the potential safety of any car in a crash. One of the tools you should seriously consider using is the Euro NCAP safety rating system. A tool like this can tell you about the car’s ability to resist damage in different collisions, among other things. Learn which cars hold up best in head on collisions, or sliding sideward into a tree or pole. 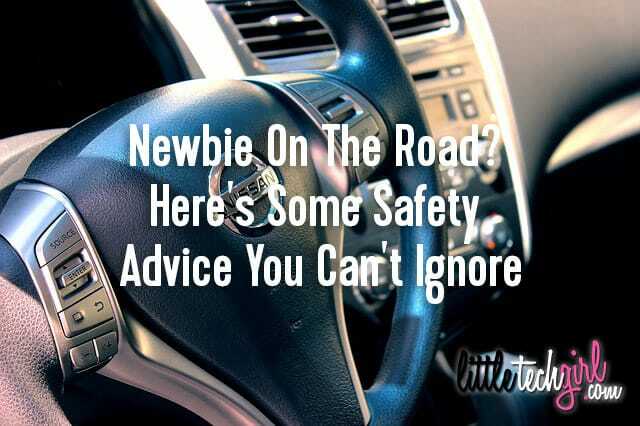 Besides just having all of the bells and whistles that make your car fancy, or help you listen to music from various places, there are a lot of different features that keep you safer in your car. There are features that can seriously reduce your risk of crashing or reduce the impact. In the future, we hope that a lot of these preventative measures will come as standard with most models. For now, however, it’s well worth getting to know them and deciding whether or not the added safety is worth the money. Some of the safety features you should be considering include adjustable seat belts that help you make the belt more suited to a person’s size. An antilock brake system helps stop the wheels from locking during a panicked situation, thus giving you better steering control. Then there are the higher tech solutions like electronic stability controlling. These assist a driver during extreme steering maneuvers. Anyone can mishandle a dangerous situation when panic hits. You should use the safety features that can help you avoid the consequences of that. These features and the durability of your car should not stop you from taking the dangers of the road seriously. It’s extremely important to be fully aware when driving. You should always keep your focus on the road. Not just the road ahead of you, but other vehicles as well. For example, larger vehicles like trucks have plenty of blind spots, so you should be keen to avoid them. Similarly, cyclists and motorbikes might be harder for you to spot. This is just one reason it’s so important to never drive with a broken or missing side car mirror. Defensive driving takes the trait of keen awareness and turns it into practice. It’s mostly about adapting to the different drivers on the road. Don’t trust that everyone is going to follow ‘right of way’ and other laws. Besides just watching for indicators or flashing lights, wait for the physical evidence of how the other car is going to move. Defensive driving is all about taking the uncertainty out of any situation. Patience is required for that. Awareness shouldn’t just be about the road. It should also extend to your car. Maintenance is an essential part of keeping your car as safe as it can be. When taking car costs into consideration, it’s a good idea to budget a bit aside each month for the possibility of the car needing a fix. Because as we all know, as soon as you think you have some “extra” money, something can and will come up! And it’s usually about the car. You should be familiar with your car’s function and know the warning signs of trouble. Know what the different warning lights on your dash mean. Pay attention to the different sounds of the car. Knowing what it should sound like will help you notice when sounds start sounding different. Finally, take the time to check for any liquid spots under your car. From brake fluid to coolant, identifying these can help you spot problems before they become a real risk on the road. Something that every driver needs to be concerned about is proper responsibility. With the tips in this article, we’re going to try and help you avoid being responsible for an accident. But that doesn’t mean every other driver will be as careful. If you get into an accident that’s not your responsibility, it’s up to you to show it. Take evidence from the accident, including witnesses, driver details and photos. Teams like UK Claim Lawyers can use this kind of evidence to help you avoid taking the blame for an accident that isn’t your fault. Of course, to make sure that accidents aren’t your fault, you have to ensure that you’re driving as safely possible. This means addressing the risks that can put you at fault. In younger, or less experienced drivers, distraction is one of the biggest dangers. Young drivers aren’t yet aware of how hard it is to maintain focus. If you have friends in the car, ensure they respect your need to keep your full attention on the road. When it comes to your phone, use a Bluetooth earpiece, or connect it to your car’s Bluetooth so that receive calls hands free. Either that or stow it away in the glove compartment so it doesn’t serve as a temptation. It’s an obvious tip by now, but one that should be repeated over and over again. Most responsible drivers know that drinking before driving is a serious concern. But many don’t know how easy it is to get yourself in that situation. For example, it may be legal but having one drink can still be enough to slow your reactions on the road to a dangerous degree. In other cases, it’s about prevention. You don’t know what bad choices your inebriated self might want to make later in the night. So it’s about leaving your car behind or handing your keys to someone trusted to keep them out of your hand. Always assign a designated driver if you’re going out in a group. Either that or leave all the cars behind. Another concern on the road that isn’t always entirely intentional is speeding. Being late and impatient can cause people to creep up in their speed without being fully aware of it. To avoid that, simply leave for your drive earlier. Otherwise, you should try to maintain awareness of your speed as best as possible. 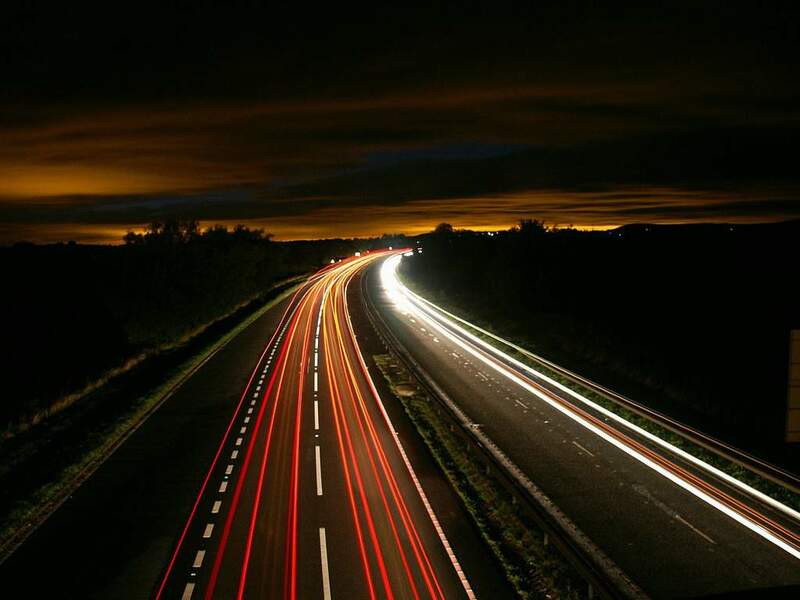 Use cruise control to set and control how fast you travel. Even simple choices like the kind of music you listen to can have an effect. Instead of adrenaline pumping rock or dance music, listen to something more casual as you drive. It will affect your mood and make you less likely to go faster. 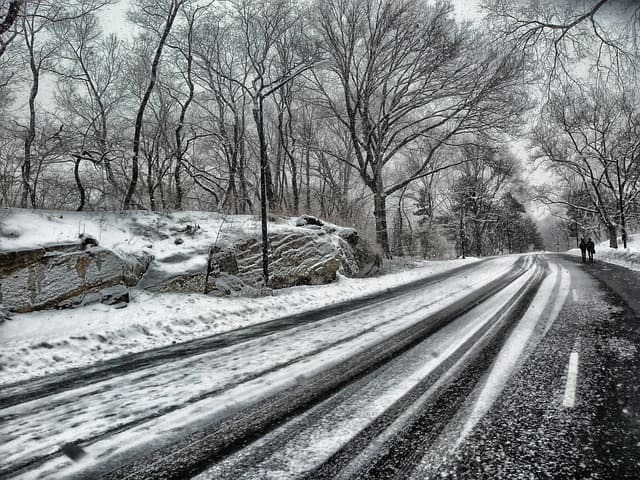 Winter will be here before you know it, and then the roads will be nasty, slick, and dangerous. And there are some situations which take responsibility out of your hands, entirely. If you hit a pothole or some other obstruction in the road, you might not be legally responsible. At the same time, you don’t want that to happen, causing damage to your car and perhaps putting you in a risky situation. So research any roads you haven’t travelled on. Road reports can give you all the details on damage or ongoing maintenance. There are other bad road conditions that prepare for. For example, in winter driving, being in control of your speed is more important than ever. And the right choice of tires can help you avoid losing control as well. A lot of people might only think of breaking down as an inconvenience. The truth is that it can be just as big a risk as a collision. This is very true at night, when visibility is low. It’s best to be prepared for breaking down by first having the right contacts on hand. Keep your phone fully charged via a car charger. Save the numbers for roadside assistance, and your insurance agent. You should also keep supplies in your car that you might need in case of breakdown. For example, high visibility jackets can keep you safer outside the car. In winter keep blankets, extra gloves, scarves, and other warm clothes in your trunk. If you do breakdown, try to be outside the car as little as possible, except to put down high visibility cones. That way passing cars are a lot more likely to see and avoid you. Driving can be a huge responsibility, it is very important to follow the rules and be prepared. Just about every element on the road can be a potential danger. Your own driving, your car, other drivers, the weather and the road itself are all factors. They all have to be adapted to. Being a safe driver is about paying attention and being prepared.